These drawings capture different views from some of my favorite dining spots around the bay area. In addition to portraying the patrons of cafe culture, I like concentrating on those it takes to keep the establishments running. 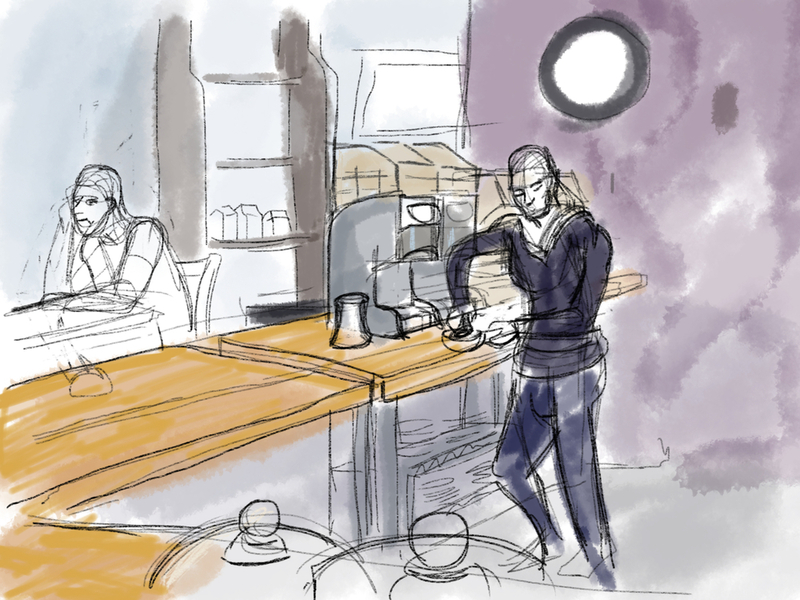 This week, the drawings focus on counters, and the people behind them. View of Dohatsu Kitchen, View of La PanotiQ's Counter, and Barista at Barefoot Coffee are created from this past week. I thought I'd also pull in a pair of drawings created around this time last year, while I was in Japan, since they fit into the theme of the work this week. Dohatsuten is a quickly becoming one of my favorite go to spots in Palo Alto. The bar provides a scenic view of the kitchen, provided you can peek over the tall tiled bar divider. One thing I find aesthetically pleasing about Dohatsuten is the way the Sapporo banner is hung at an angle. Te diagonal lines of the banner and the bar give the composition a zig-zag pattern, an attribute found in classic Japanese prints. I'm still trying to figure out what the name is of this hallway tiki bar I stumbled into on the streets of Kyoto, last year. 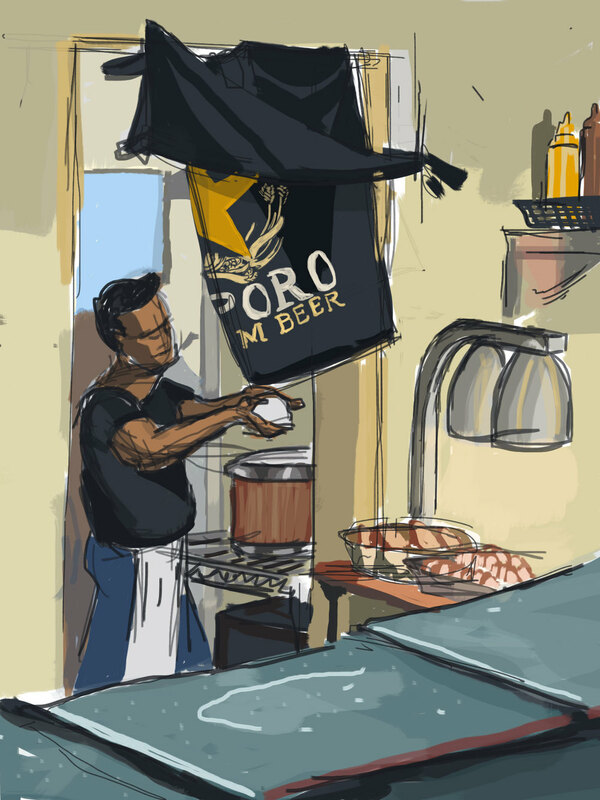 This is a quick drawing of the bartender I did while taking a break from the rain. Quick drawing of one of the many hallway restaurants in Shinjuku's Memory Lane. Almost al of these places serve chicken gizzards. Yum! This was a tough sketch, as I was drawing in the middle of a crowded street with people passing by.